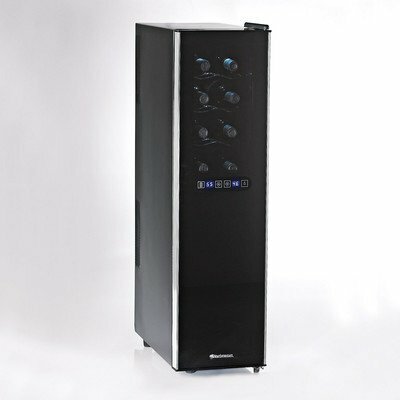 The Eurocave Sowine Home Wine Bar is a great wine preservation appliance developed and manufactured by the EuroCave company based in Lyon, France, famous for its top-quality, high-end home wine cellars. The Eurocave Sowine bar is the first sophisticated wine preservation system designed for home use. You can keep two bottles of red or white or one of each type of wine in the two compartments of the EuroCave Sowine and have your wine perfectly chilled. Sowine’s unique vacuum technology preserves an opened bottle of wine in perfect condition for consuming it later. Of course you can place an uncorked, half-full bottle of wine in the fridge but it might get stale (not to mention the odors of food stuff kept in the fridge that can permeate into your wine through the wood cork) not to mention that the cooling temperature of an ordinary kitchen fridge is too low for most wines. So here comes EuroCave Sowine wine bar to all wine lovers rescue. 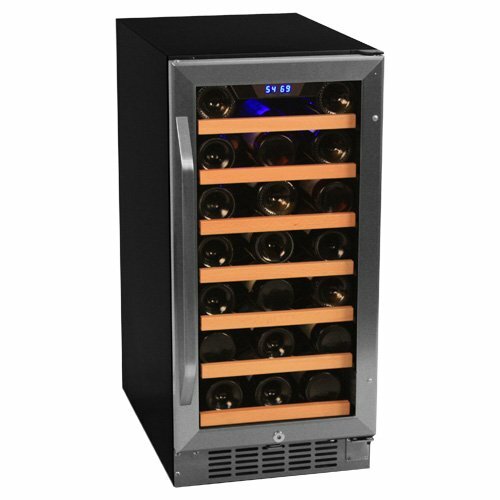 Although one might think this is just a fancy appliance, a true wine connosieur will appreciate Sowine’s benefits. EuroCave Sowine – a Nice Gift for Any Wine Lover for Christmas or Other Occasions. If you want to enjoy a glass of top quality vintage in the evenings but you don’t dare to open the bottle for fear you won’t be able to finish the whole bottle at once, EuroCave’s Sowine Home Wine Bar will be a very parctical accessory for you and a money spent wise. 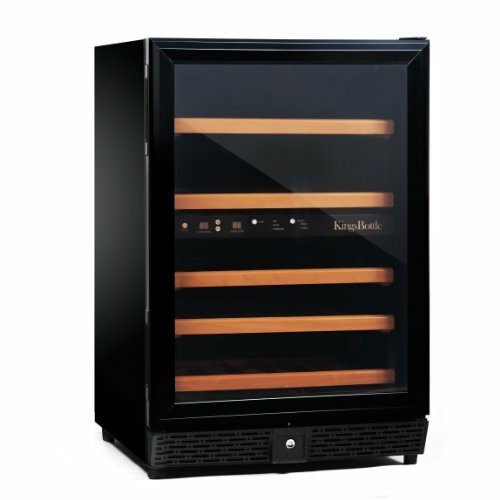 Each compartment can preserve whites and reds at their recommended serving temperatures – the two compartments are separated so you can chill both a bottle of red and a bottle of white wine for dinner. The compartments have individual temperature controls (temperature setting and display is only in Celsius yet), and indicators. The unique vacuum preservation technology keeps an opened bottle of wine fresh up to 10 days – each compartment comes with its own vacuum cylinder that you slide over the uncorked bottle and push the plunge to start the process of oxygen extraction. An indicator light will tell you that the extraction is in process. In the first 30 seconds of the vacuuming process it makes some noise but after that it is completely silent. The technolgy removes oxygen from around the bottleneck so the wine is protected against oxidation that would alter (and spoil) the natural flavours and colors of wine. If you want to chill a bottle of wine for dinner just place it in one of the compartments but don’t slide the vacuum cylinder over the bottleneck (since your aim is not to preserve the wine for a couple of days). The black and chrome design add a sleek look that makes Sowine a nice addition to any home wine bar. Price of EuroCave Sowine home wine bar: around cc. US$ 400-500 (cc. GBP 300). Warranty: 1 year on the unit. 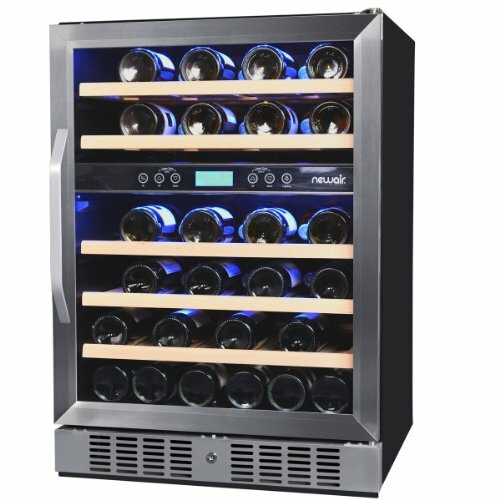 EuroCave Sowine is an attractive, easy-to-set, simple to clean 2-bottle wine chiller and wine preservation appliance that allows you to have both a bottle of red and a bottle of white chilled to the right temperatures. Moreover, it lets you enjoy a bottle of wine over a couple of days, no rush to finish one of your favourite bottle in one sitting. TIP: find other great present ideas for wine lovers at wine bottle coolers as Christmas gifts. Overall the Eurocave Sowine received good reviews. Most owners are satisfied with the performance of the unit. It really preserves the quaility of an unfinished bottle for a couple of days. It is is quiet, the only nosie you’ll hear is when you first start up the machine and when the vacuum system removes air from the bottles. A smaller problem that occurs and is described in the manual is that some consdensation might form inside but all you need to do is wipe it with a papertowel. The vacuum suction is a bit tryicky to use, it is recommended that you remove the entire foiling from the bottle neck for proper sealing. The most negative experience reported by an owner is that his Eurocave Sowine bar stopped working just after the 12 month warranty period was over. Hopefully this was only an extreme case, but always check more reviews before buying to see whether it’s a dependable product. 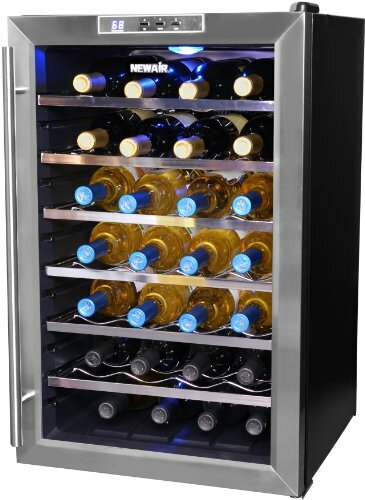 TIP: take a look at the EuroCave Le Petite wine cooler, a 12-bottle, compact cabinet for storing 10 bottles and preserving the quality of 2 opened bottles of wine.